Previously at Roteberg, Wilhelm couldn't find a Slacker job. Susanne wrote the 6th novel about Dr Susanne. 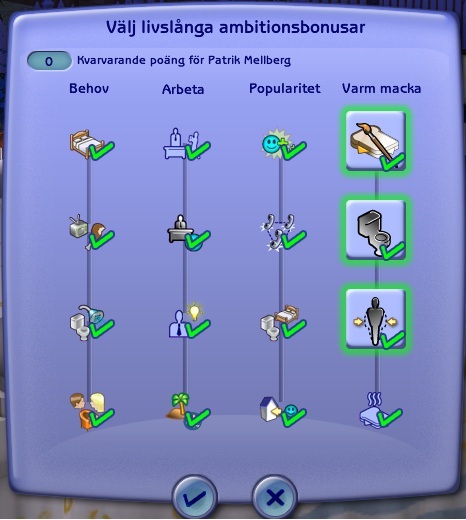 Patrik was forced to resign as Mayor over a real estate affair. 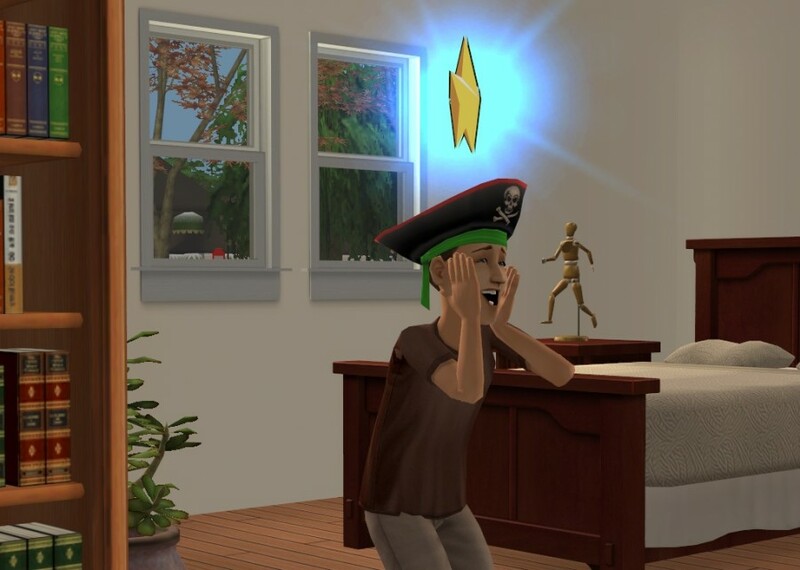 Robert and Niklas grew up to children in pirate hats. 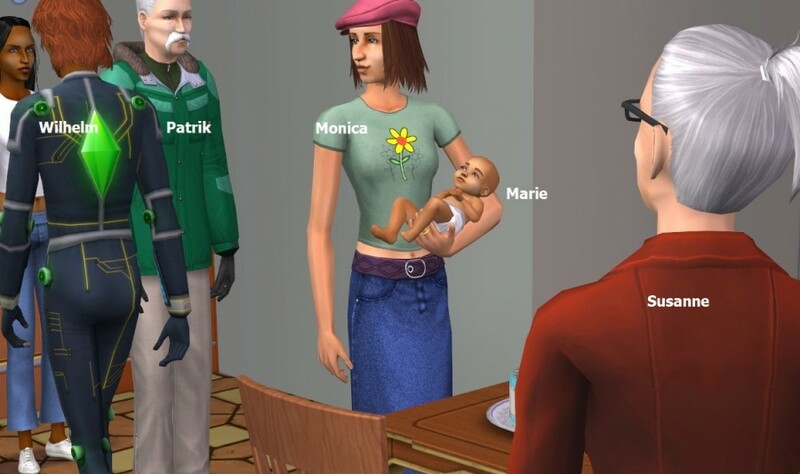 Monica got pregnant and Marie was born. A lot of secondary aspirations were claimed. We start the round as many before with a full aspiration panel. It’s Patrik, the former mailman’s turn. 3p! Wilhelm has a new LTW, to become a Professional Party Guest, but cannot find an opening. Still! He looked all round last round too. Patrik has had a great interest in the Culinary arts lately, and today he reached max enthusiasm and earned a plaque. 1p! We’re at Roteberg, the fourth of five original houses. It’s inherited down the Berg line. Founder Magnus married Kim Thulin and had two daughters apart from generation 1 daughter Maria who moved out. 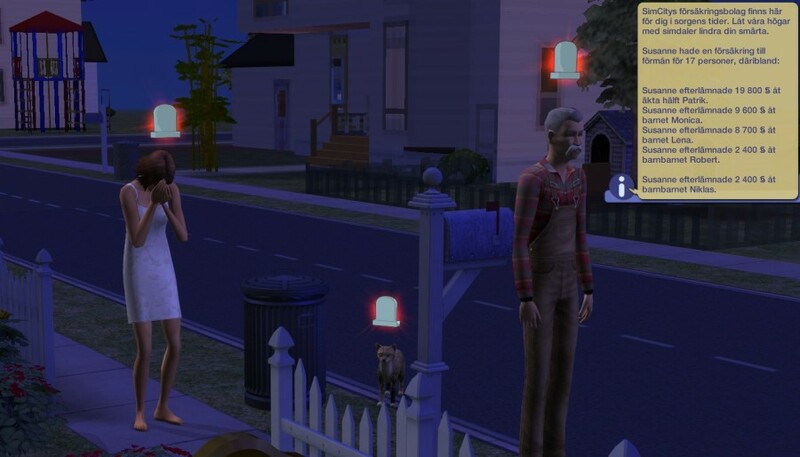 Susanne inherited the house and had two girls with the mailman. 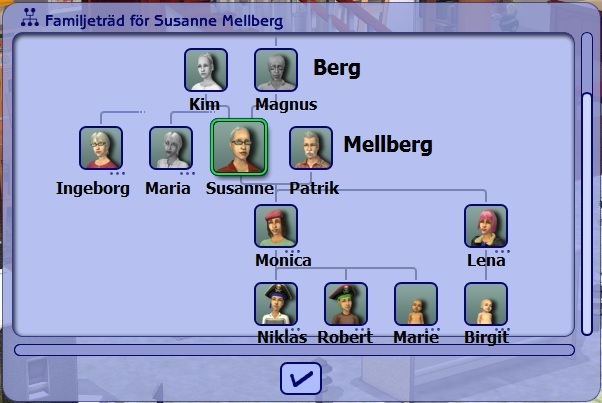 Later they got married so her name is Mellberg. 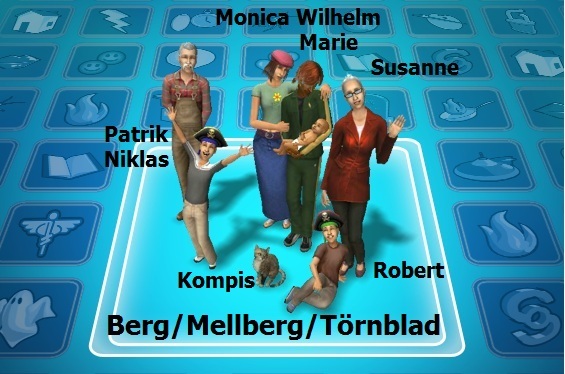 Monica inherited the house and had twin boys Niklas and Robert with Wilhelm before they got married, so the boys have the last name Berg and will inherit the house. Baby sister Marie is named Törnblad, since her parents got married before she was born. 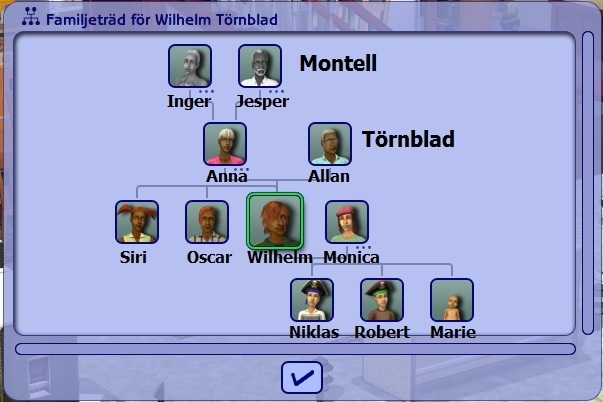 Wilhelm is part of the vast Montell clan, but has the name Törnblad from his father. 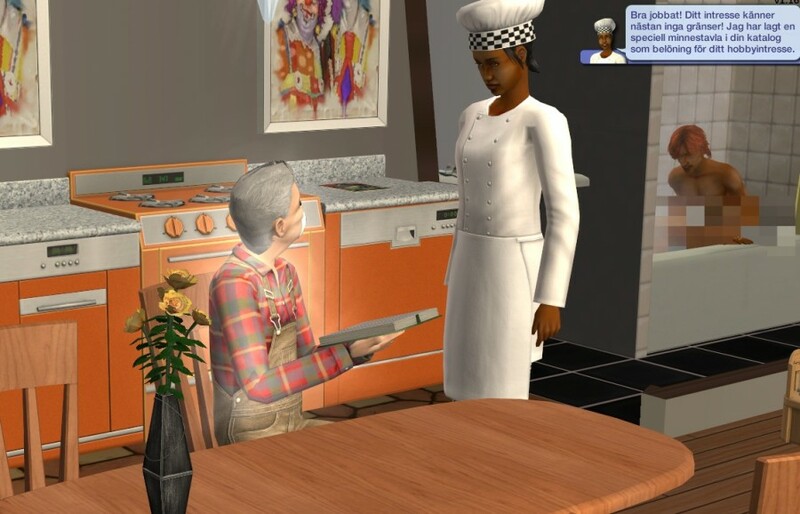 Monica is a stay-at-home mom and serves her boys and her father comfort soup after school. Let us look at you! Marie is an extremely neat and very active Virgo. 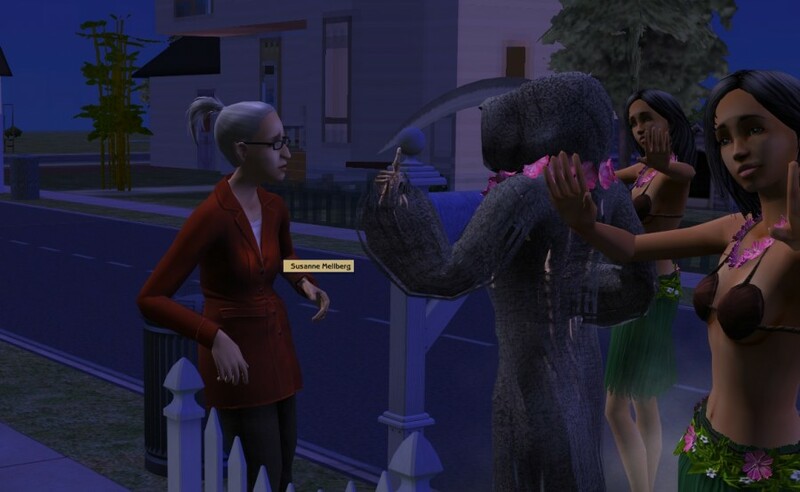 It’s a nice party for Marie and Monica bonds with Wilhelm’s sister Annika who married Monica’s cousin Aron Wern. 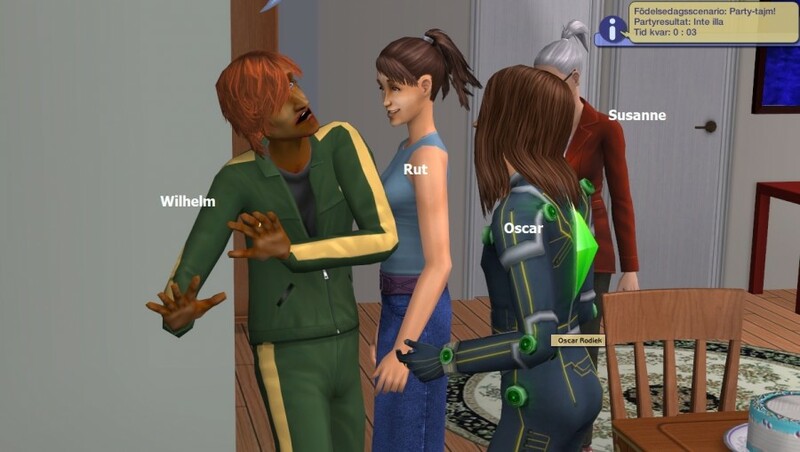 Wilhelm is becoming friends with Oscar rodiek who is not related to this house at all. 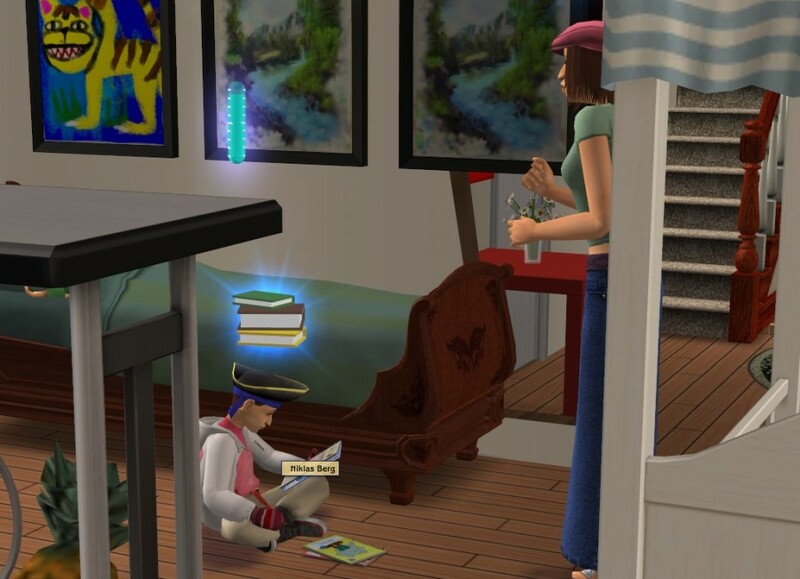 Robert and the simGodess are equally amazed over his good grades. These two boys are very hard to keep happy. 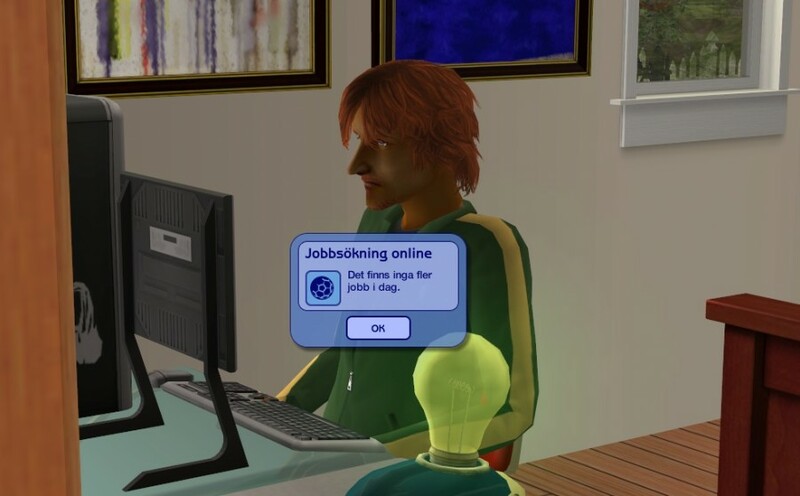 Wilhelm finally finds a job in the Slacker career as a Home video editor. Don’t remember why I took this picture, but it is a picture of how this house looks a lot of times – pretty calm and relaxed even though there are many inhabitants. However, there will be one less from now on. On June 7th ’96, the day before her 80th birthday, Susanne dies. She had a fulfilled life and leaves in platinum. 1p! 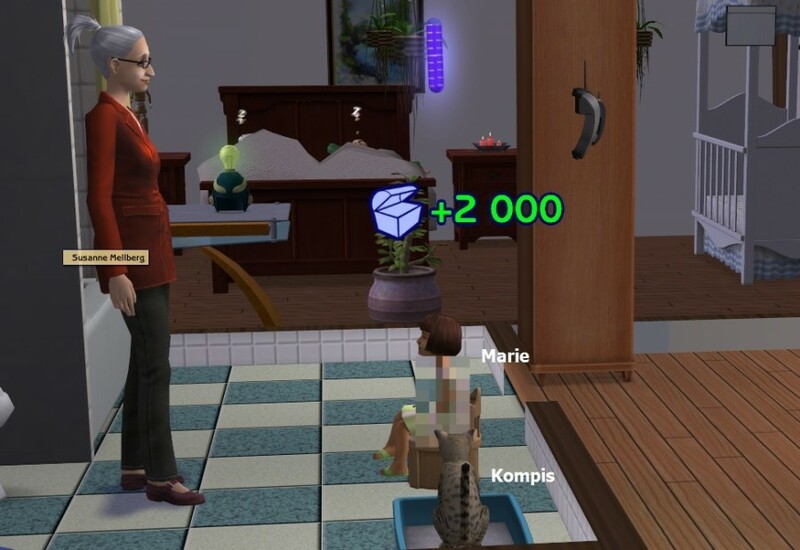 It’s a hard blow for the family and even Kompis is very sad. 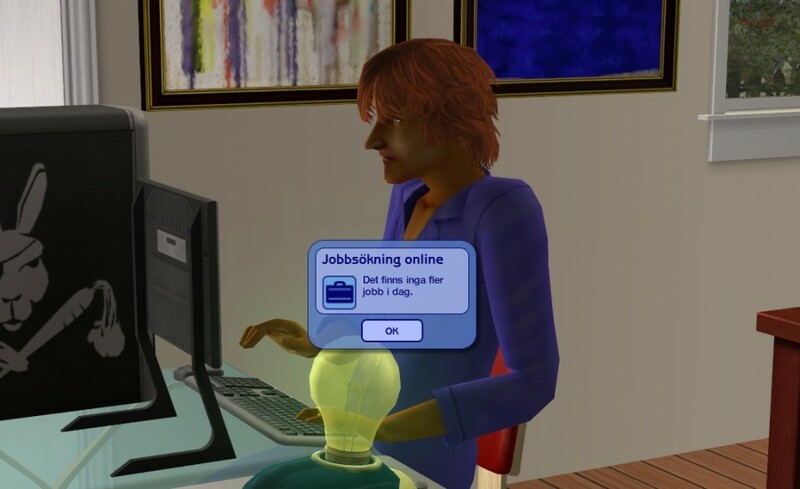 Susanne had a lot of family and friends, though and big insurance payments are paid. She had full influence at death, so we get another point for that. 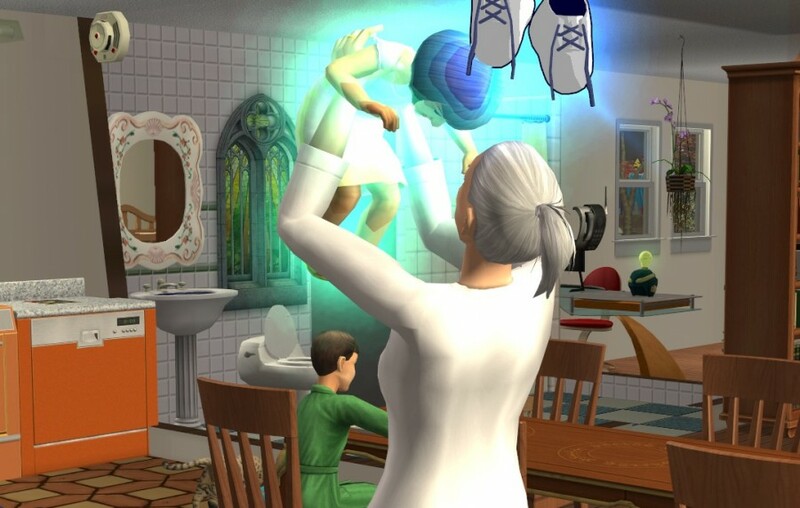 Guess that is the end to the Dr Susanne series which has brought joy to children around the Sim world for a long time now. 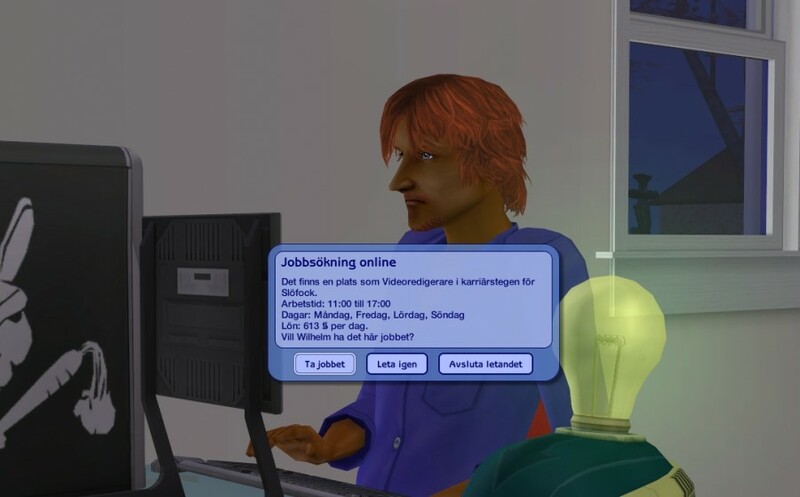 -_-. 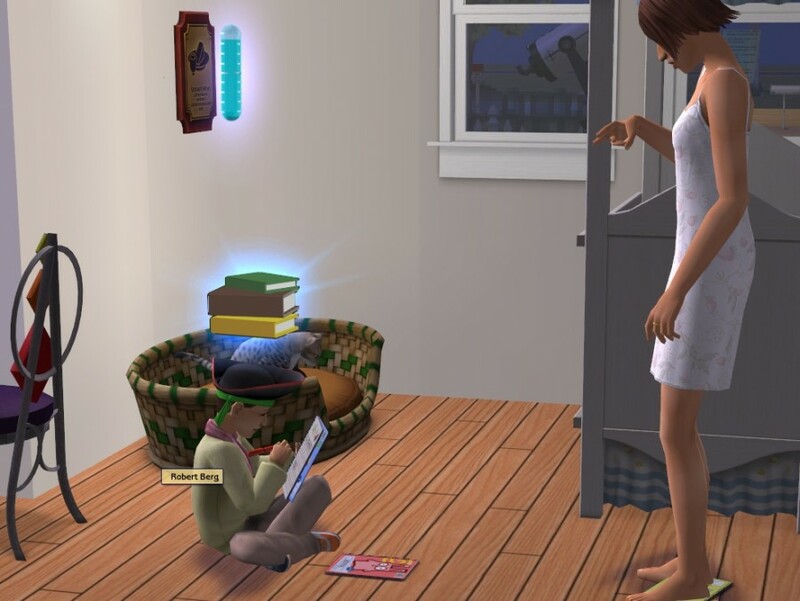 Good shot with the cat helping with the potty training! Nothing like a practical demonstration! RIP Susanne. You had a good life. I have to agree about the potty training shot with the cat being very clever. Hopefully they'll all continue to do so well in future. It's a calm little family with a harmonius life. Hopefully will still be without Susanne! Nice Payout for Susanne! I too loved the potty picture. You seem to use very small houses. I prefer to use the smallest houses myself, makes it easier to keep track of everyone and get them where you want them!